Last Friday at Art Bar, Providence. 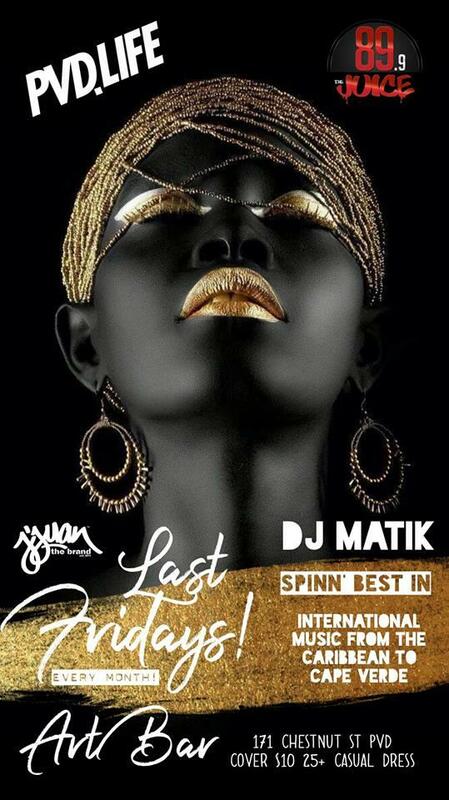 Party til 2AM w/ DJ MATIK spinning the best in international reggae, soca, african & hip hop from the caribbean to cape verde! Casual Dress / We have the right to be selective. #CasualFridaysArtBar = Clean casual dress, fedoras and neat sneakers allowed. No Hoodies, Athetic Wear, Hats or Tims.Management has the right to be selective and deny entry. 25+ ID required.